To buy or sell a flat is one of the most important commercial transactions in life and very often customers are inexperienced when it comes to all the pertinent fiscal, legal and economic terms. 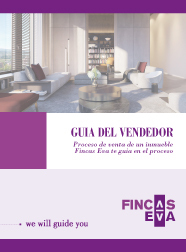 In FINCAS EVA we are conscious that the buyer and seller need to have all the information necessary in all the different phases of the process and for this reason we like to introduce our informative guides. Don´t hesitate to contact us. 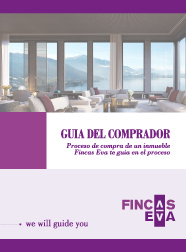 From FINCAS EVA we reiterate our promise to advise you in all your property transactions. This is our magazine. 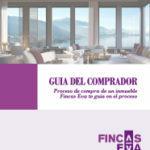 You can find the latest information about our sector, also exlusive content that we hope will be of your interest. And obviously, a selection of the most interesting properties for our customers. Start navigating through the pages of FV! And, what are the reviews of our customers? They help us to sell our flats quickly and with professionalism. The most important characteristic is the human treatment thanks to an impressive team, always attentive to your needs. A very professionalism team, they advise me really well in my search, organising a tour in Barcelona that none of the other agencies have suggested before. The treatment was very pleasant, thank you very much for your help. Very satisfied with my new home! Very serious and responsable business. The treatment is friendly and help me to sell my flat very quickly, with transparency and clarity.